VIP lounge access, free golf, and private jet access make this a great card for those who love luxury travel! You work hard and play hard–flying often, attending social events regularly, and always making the most of your downtime. Fortunately, the Citi Prestige® Card has got your back. It’s an elite card with high standards, just like you. If you’re the work hard, play hard type then you may want to consider the Citi Prestige® Card. It’s a great card in the luxury travel space that offers tons of great benefits and earns lots of points! Get the current sign-up bonus points after you spend the required amount in the allotted time (see above for current offer). Then earn 3x points at airlines, hotels, and travel agencies and 2x points for restaurant and select entertainment spending. You’ll earn 1x points on all other purchases. Your points are good for the ThankYou Rewards program and never expire. Earn as many points as you want to because there’s no cap! Bottom Line: Earn 3x points for airlines, hotels, and travel agencies, 2x points for dining and select entertainment, and 1x points for everything else with the Citi Prestige® Card. Don’t forget about your sign up bonus! Travel abroad without the headache. There’s no foreign transaction fee when you use the card (a 3% savings by itself), and global transactions are seamless because it has an EMV chip. The $495 annual fee is the biggest consideration, but it’s largely offset by a yearly airline travel credit of $250. This can apply to the cost of a ticket or any flight-related expenses charged to the card, including award taxes and fees, baggage fees, and more. Still, the annual fee is steep, separating the serious spenders from the crowd. You also get a $100 credit for the Global Entry application fee. Once the U.S. government approves your application, you can bypass long lines and enjoy expedited entry into the country. Bottom Line: A $250 airline travel credit helps offset the steep $495 annual fee of the Citi Prestige® Card. 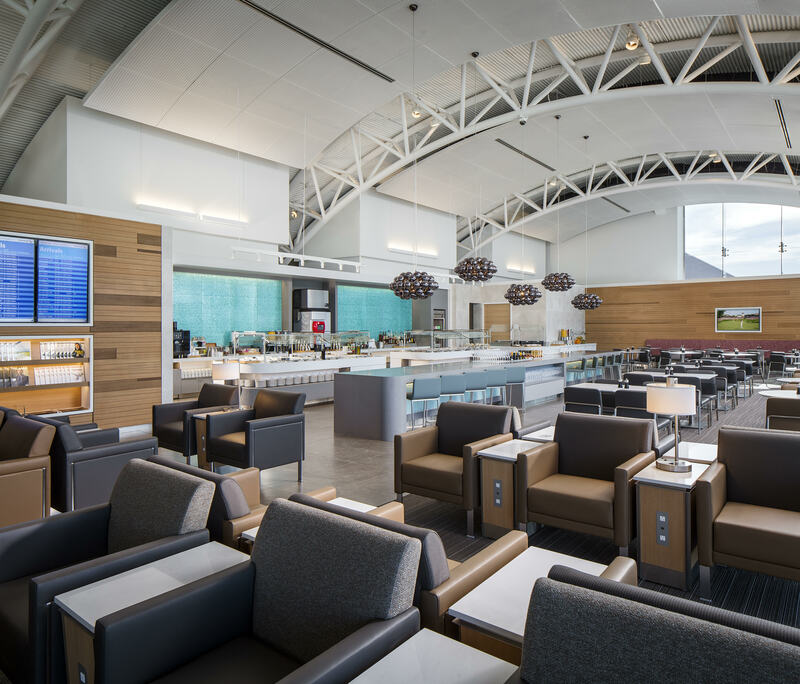 Also enjoy zero foreign transaction fees, a Global Entry fee credit, and complimentary Priority Pass access! Book a stay of 4 consecutive nights at any hotel (you choose!) and get the 4th night for free! The free night appears as a credit on your statement. Enjoy 24/7 access to a global concierge team for help making trip arrangements, purchasing tickets, and booking exclusive events and dining experiences anywhere in the world. Plus get access to exclusive events through Citi ThankYou Events and Citi Private Pass Beyond. You’ll have the opportunity to attend private concerts, sporting events, and red carpet experiences! Bottom Line: A free 4th-night stay and other perks make the Citi Prestige® Card an attractive option. Besides the high annual fee, the card has a few other drawbacks. For instance, there are a limited number of Citi ThankYou airline transfer partners when redeeming your points. Additionally, you don’t get additional bonus points for adding authorized users or getting friends to sign up. In 2014, Citi took away the opportunity to earn points on purchases made with merchant partners because not enough people were using it. You also may find the card tough to qualify for. Not only do you need great credit, but you need to be part of the high-income, high-spending crowd. If you want an alternative, we recommend the Citi ThankYou® Premier Card. For a considerably lower $95 annual fee, you’ll get 3x points on all travel, not just air travel and hotel. This travel category also includes gas, cruises, car rental agencies, travel agencies, tolls, parking, and more. The Citi ThankYou® Premier Card earns 2x points on dining and entertainment plus 1x points on all other purchases. For a Citi ThankYou card with no annual fee, you can check out the Citi ThankYou® Preferred Card. This credit card earns 2x points in entertainment and dining and 1x points everywhere else. Bottom Line: Because it’s tough to qualify for the Citi Prestige® Card, non-serious spenders may find the Citi ThankYou® Premier Card or the Citi ThankYou® Preferred Card more their style. There has been a lot of confusion about the Citi Prestige® Card in the last year. Lots of changes have occurred, and there is conflicting information out there. Citi has stated that certain benefits that have been removed from the card’s application page are actually still available for current and new cardholders until July 23, 2017. If you are signing up for the card, you should be aware and call ahead to confirm this. Admiral’s Club access is one of the benefits being removed. You will no longer see this advertised on the card, but many sources state that the card will allow club access until the July 23rd date. Another benefit that this card touted was a 1.6 cent redemption for points on American Airlines when booked through the Citi Travel Rewards Center. This is no longer being advertised either, but you should be able to book this until July 23rd, 2017. Additionally, the 33% boost in value for all other redemptions will be lowered to 25% for all airlines (including American) during this future date. The 4th night free benefit will now be based on the average nightly rate instead of the last night’s rate. Taxes are no longer going to be included. Finally, the three free rounds of golf offered for cardmembers each year is being discontinued as well. Bottom Line: Citi is no longer advertising these above benefits, but sources say they should be available for use until July 23rd, 2017 for both existing and new cardmembers. If you are a frequent flyer who thrives on superior rewards, exclusive travel, and entertainment benefits, then this may be the card for you (even with the high annual fee!). Big spenders can truly rack up the points to use in the ThankYou Rewards program. You can redeem your points for almost anything you can imagine, including unique experiences, statement credits, travel, electronics, gift cards, and charitable donations. The 3x points earned by the Citi Prestige® Card on hotels booked with travel agencies includes more than just your room rate. Get extra points when you attach goods and services to your hotel bill too! Plus, “travel agencies” can include any merchant that provides travel information and booking services, such as travel aggregators and tour operators. 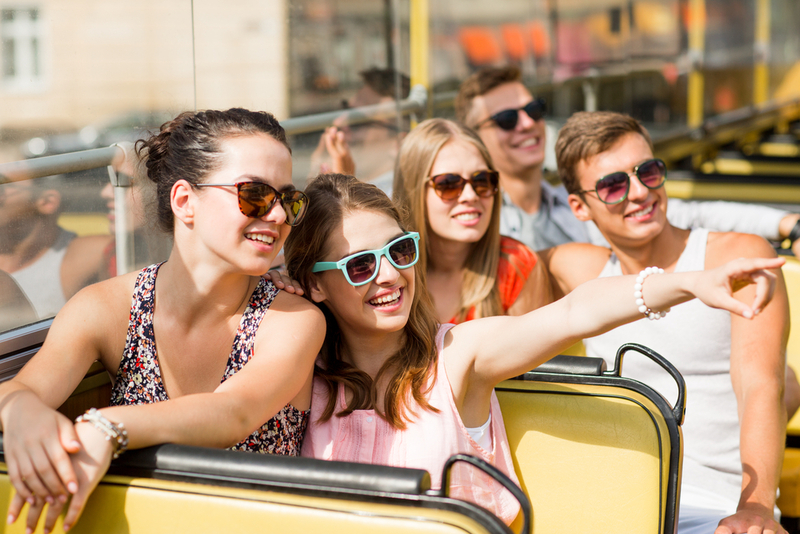 Jump on a tour bus and pay for it with your Citi Prestige® Card to earn 3x points! You can earn points for a number of different travel related adventures, not just flights and hotels. As we mentioned above, you can earn points for things outside of what you may normally consider with some American Express Membership Rewards cards or Chase Ultimate Rewards cards. 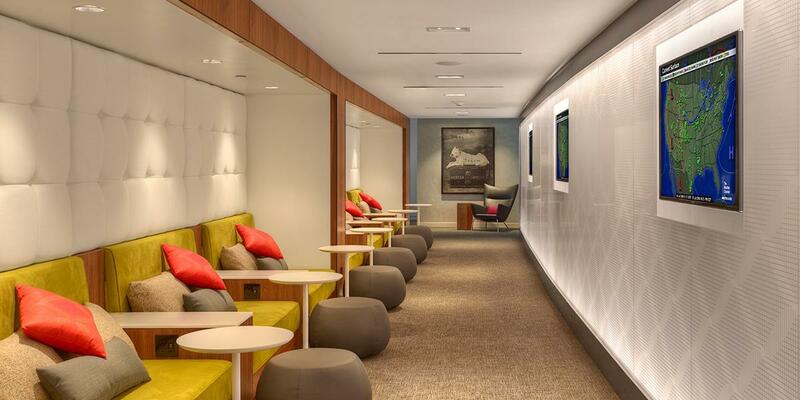 If you want to get the most out of your Citi Prestige® Card, read on. We’ve created a list that spells out the best ways to use your card and earn lots of Citi points. Tip #1: Clearly, the top strategy for banking points with this credit card is to use it for all of your purchases. The quicker you get to spend, the quicker you’ll get to earning your sign-up bonus! Tip #2: Book all your air travel and hotels with the card so you get 3x points. The rules state your tickets must be purchased from a merchant that provides air travel, so that includes sites like Kayak and Orbitz. That means you can use your Google Flights results and get points for them, along with your ITA Matrix bookings if you’re using BookWithMatrix.com. Tip #3: Make sure to also use the card for entertainment and restaurant purchases to get your 2x points. Entertainment is a huge category that includes places like movie theaters, amusement parks, tourist attractions, sports promoters, theatrical promoters and even record stores. As far as restaurant spending, you can get a ton of points when you are dining with friends or colleagues. Just put all of the charges on your card, and the rest of the party can reimburse you with cash. Tip #4: Even though other spending only gets 1x points, it can still add up. After all, the people who use the card are most likely higher spenders. Putting all of your monthly expenses on the card will help you accumulate points steadily. Tip #5: Add authorized users to the card. It will cost you $50 a pop, but the extra points from their purchases are likely to far outweigh the cost. Tip #6: Enroll your Citibank banking account in ThankYou Rewards and earn extra points. If you don’t have a checking account with Citi, open one to participate. After setting up the account, you need to make 2 consecutive monthly bill payments and keep the account open for 5 months to ensure you receive the points. Find out how many points you earn per account package here. Tip #7: Another reason to consider being a Citigold banking member? Citi Prestige® Card holders who are also Citigold or Global Client Banking members receive an additional 15% bonus on ThankYou Points earned during the year. Private Bank clients get 25%! Do your banking through Citibank and you will earn bonus points on all the Citi ThankYou points you rack up throughout the year! With so many great ways to redeem Citi Prestige® Card points, it can be a little overwhelming. The value of your points depends on how you use them. For instance, gift cards are valued at $0.01 per point, which is not very impressive. But when you use points through the Citi ThankYou Travel Center, you can get 1.25 cents per point! We created a list of tips to ensure you get the most value out of your points when you redeem them. You can also check out this post for even more advice about maximizing Citi travel rewards. Tip #1: Your points are worth 33% more on flights compared to non-air travel when booked through the Citi ThankYou Travel Center. That means if you redeem 40k points, it’s good for a $500 flight on any airline! A great deal! Plus, there’s no limited seat availability or blackout dates. However, the Citi ThankYou Travel Center does not always offer the best deal, so keep reading. Tip #2: Sometimes you will find a better deal transferring points directly through airline transfer partners. For this reason, it’s important to compare prices between the Citi ThankYou Travel Center and the airline partners. Points must be transferred in 1,000 point increments, and there is a maximum of 500,000 ThankYou Points per transfer. *Etihad includes nearly 40 airline programs such as JetBlue, American Airlines, Air France, SAS, Air New Zealand, and more. **AsiaMiles includes 20 airline programs such as Air New Zealand, Mexicana, Air China, Gulf Air, and more. Also, watch for promotional periods that give you the best redemption for your Citi ThankYou points. For example, in 2015 Citi ThankYou offered a 25% bonus for transferring points to Virgin Atlantic. Tip #3: Earn points on airline tickets you purchase with your points. That’s right; you receive 3x on every $1 you would have spent if you weren’t using points! For example, with a Citi Prestige® Card you can redeem 30,000 ThankYou Points for a flight listed at $399. When you redeem those points, you will also receive 3x points on the $399, even though you used points to pay for your flight. That is 1,197 extra points! Tip #4: Transfer points for hotel stays. When you transfer 1,000 ThankYou Points, you receive 1,500 Hilton Honors Bonus Points. You can quickly earn free hotel stays with this strategy. Tip #5: Redeem ThankYou points for gift cards and merchandise from a variety of online retailers. Shop with Points allows you to link your Citi ThankYou loyalty account to sites like Live Nation, Amazon.com, and Expedia.com so you can pay with the points you’ve earned. Pay with Points makes it easy to spend your points on purchases with Best Buy and Wonder online or directly through their apps. You make the payment with your card and then receive statement credit within 24 to 48 hours. Tip #6: Technically, it’s not about points redemption, but wait until you hear about this card feature that reduces your balance for free! Select and Credit allows you to get statement credit for purchases you’ve already made! With eligible categories including groceries, gas, utility bills, clothing, department stores, dining, and entertainment, your chances of qualifying are high. Tip #7: Pay your bills online using points (or a combination of points and cash) in just a few clicks. All you need is an enrolled Citibank checking account. Tip #8: Show your charitable side with PointWorthy. Once you enroll, you can browse non-profits approved by the IRS and make a donation with your ThankYou points. You can also make donations with your card and earn points for every dollar you donate. Travel Partners: Asia Miles, Malaysia Airlines Enrich, Qantas, Qatar Airways Privilege Club, Etihad Guest, Virgin Atlantic, Virgin America Elevate, Flying Blue, Garuda Indonesia Frequent Flyer, EVA Air Infinity MileageLands, Thai Airways Royal Orchid Plus, Singapore Airlines KrisFlyer, JetBlue TrueBlue and Hilton Honors Worldwide. To qualify for the sign-up offer, you must either be a new cardholder, or one who has not closed a Citi Prestige® Card in the past 24 months. Citi ThankYou points appear in your account at the end of each monthly billing cycle. They never expire as long as you have an open ThankYou Card. You have 30 days from closing account to use your points. Points transfer requests cannot be reversed or canceled, and there is no fee to transfer. Once a request is made, the points are deducted immediately from the ThankYou account, but it can take up to 2 weeks for them to post in your loyalty account. Here are some of the other benefits that come with the Citi Prestige® Card. Private jet access – Available through NetJets. Chauffeured car service – Access to chauffeured car service plus 15% off select limousine services. MC Airport Concierge service – Personal attention at arrival, departure, or connection at over 450 airports worldwide. International golf benefit – 3 rounds of golf free at courses around the globe (available only until July 23, 2017). Citi Identity Theft Solutions – In case of identity theft, receive help contacting credit bureaus and assistance with police reports. Fraud early warning system – This system monitors your account to detect potentially fraudulent actions and takes appropriate actions to protect your account if there is an issue. Missed event ticket protection – If you miss a sporting event, concert, or lecture for unexpected reasons, you are reimbursed the price of the ticket. Citi Price Rewind – Searches for the lowest price on registered items. If the same item is found at a lower price within 60 days of initial purchase date, you receive the difference. 90-day return protection – Receive a refund if the merchant won’t take back an item within 90 days of purchase. Damage & theft purchase protection – This benefit covers repairs or a refund if purchases made with the card are damaged or stolen within 120 days of purchase (90 days for NY residents). Extended warranty – Adds 1 year to a regular warranty. Travel & emergency assistance – Receive help 24/7 with emergency travel arrangements, travel issues, medical and legal referral, and more before and during your trip. Trip cancellation & interruption protection – Reimbursement for non-refundable trip expenses like change fees when unforeseen events get in the way of a trip you paid for with your Citi card. Trip delay protection – In case of a delay on a common carrier, you can get reimbursement for expenses incurred like meals or lodging. Worldwide travel accident insurance – Receive financial help in case of an accident. Medical evacuation – Get help 24/7 when you are traveling and the right emergency care is unavailable locally. Roadside assistance dispatch service – Get help at your location if you have car trouble in the 50 states or the District of Columbia. Lost baggage – If your checked or carry-on luggage is lost, stolen, or damaged by the common carrier, you may receive a refund of the purchase price of the missing items or the cost to repair or replace the damaged ones. Baggage delay protection – Get reimbursed the cost of necessary personal and business items if checked baggage is delayed by the common carrier. Lost wallet service – Replaces lost or stolen cards (usually within 24 hours) and provides you with emergency cash. What is the Citi Prestige® Card? It is a credit card for active travelers who want access to luxury benefits. Cardmembers earn ThankYou Points that can be redeemed for travel, merchandise, and other rewards. What are the Citi Prestige® Card benefits? The card typically comes with a sign-up bonus. Benefits include a $250 airfare credit each year and a $100 credit for the Global Entry application. Cardmembers also get a 4th-night free when booking a minimum 4-night stay through Citi Prestige Concierge, and complimentary access to hundreds of VIP airport lounges through Priority Pass Select. How do I earn Citi Prestige® Card points? Cardmembers earn Citi ThankYou points based on their spending. Receive 3x points for airfare and hotels, 2x points for entertainment and restaurants, and 1x points for everything else. How do I redeem Citi Prestige® Card points? Redeem Citi points through the Citi ThankYou rewards program for travel, merchandise, gift cards, and more. When do Citi Prestige® Card points expire? Citi points have no expiration. You can also earn as many as you’d like because there is no limit. What is the Citi Prestige® Card made out of? The card is made of plastic but has an intricate design that places the magnetic strip on the front. How do I use the Citi Prestige® Card for airline credit? Earn ThankYou points by making purchases on your card. Those points can then be transferred to participating airline loyalty programs. You can also use your points when booking flights through the Citi ThankYou Travel Reward Center to receive 33% more value for your points. What is the annual fee for the Citi Prestige® Card? The annual fee is $495. However, you also receive a $250 airline statement credit, which helps offset the cost. Which is better, the Citi Prestige® Card or The Platinum Card® from American Express? Both cards have similar perks, including VIP lounge access and complimentary benefits at hotels worldwide. The Platinum Card® from American Express also typically has a similar sign up bonus. The Citi Prestige® Card has a $495 annual fee and $250 airline credit. The Platinum Card® from American Express comes with a $200 airline fee credit, but it can’t be used to purchase airline tickets and has a $550 annual fee. The biggest difference is when it comes to earning points. Purchases made with The Platinum Card® from American Express earn 5X Membership Rewards® points on flights booked directly with airlines or with American Express Travel and 5X Membership Rewards® points on eligible hotels booked on amextravel.com. The Citi Prestige® Card allows you to rack up points with higher spending categories.